The DBU, an organization that since its foundation has financed over 9,000 projects with over 1.6 billion euros in funding, awards a variety of projects that support high environmental impact ranging from sustainable food, renewable energies, preservation and conservation. Past winners include Prof. Dr. Klaus Töpfer (former German Minister for the Environment and later head of the United Nations Environment Programme) and Mikhail Gorbachev, former president of the Soviet Union. Bas is the youngest person ever to win this award. Recipients are part of a select group of nominees, a list put together by representatives from employers and industry associations, research institutions and panels, workers unions, and communal authorities, religious institutions, environmental conservation societies, media and former winners of the environmental prize as well as the curators of the prize itself. To be eligible for the award, you have to comply with a variety of criteria, including but not limited to: Helping to address environmental problems in good time, serving as a role model for other people, companies and organizations, seeing that your merits are imitated and maintaining an innovative, holistic approach. Solutions should promote practical solutions for environmental problems, more health-friendly products and production processes and support the exchange of knowledge about the environment between science, business and industry. With all that, you can only imagine how pleased we are that the jury of the DBU has seen the immense potential of Fairphone and lifted out and recognized Bas’s commitment as an environmentally conscious and social entrepreneur. reducing the amounts of electronics waste that are exported to developing countries and its impact on people’s health. The total amount of 500,000 euros in prize money will be split between the three recipients of the prize. The award will be presented on 30 October at an award ceremony in Würzburg by German President Joachim Gauck. Hey Buddy!, I found this information for you: "Bas van Abel (CEO Fairphone) wins prestigious German Environmental Award". 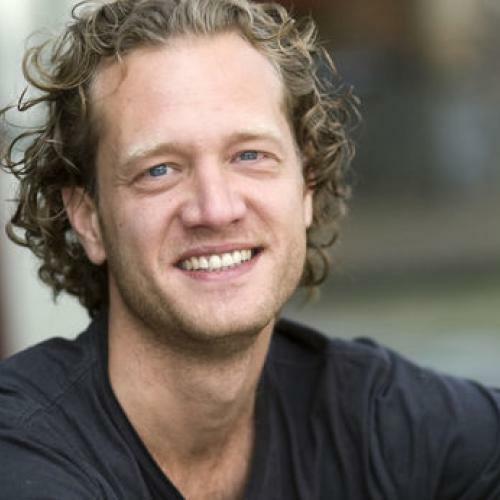 Here is the website link: https://www.duurzaam-ondernemen.nl/bas-van-abel-ceo-fairphone-wins-prestigious-german-environmental-award/. Thank you.